Gloria and Catete are neighborhoods which are the pride of Rio de Janeiro, representing the best residential areas. The region extended from the Gloria Metro Stop southwards to Botafogo bay. However, once the tunnel to Copacabana opened, the attention shifted to Copacabana and Ipanema. Today, this area is making a comeback as entrepreneurs find the characteristics of this neighborhood advantageous to their needs. The 19th century houses are attractive indeed and the close proximity to downtown and Copacabana makes it ideal. Catete in particular has many historic buildings and mansions. The main streets are Rua da Glória, Rua do Catete. The Catete Palace garden is well maintained and is open to the public. This spot is especially popular with families as children have a place to play safely. Parque do Flamengo is near this neighborhood, whose boundaries extend into this neighborhood. Unfortunately, in the name of modernization many mansions and houses dating back to colonial era have been demolished. Catete district has retained its reputation of being one of the noblest areas in the city. 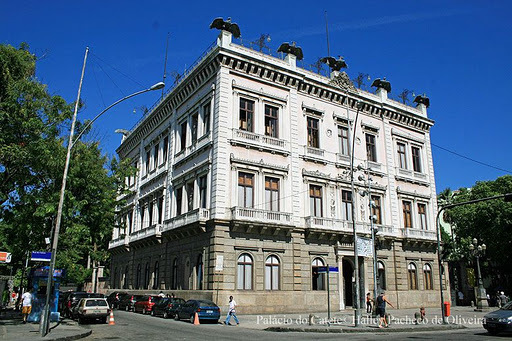 The Museum of the Republic or Museu da Republica was formerly owned by a coffee baron, the Barão de Nova Friburgo. It was built between 1858 to 66. In 1887, it was converted into the presidential seat until the capital was moved to Brasilia. The museum displays artifacts relating to the Republic of Brazil and also houses a cinema and hosts dance and theater programs. The building itself, aka Palácio do Catete, is quite spectacular and is set amidst beautiful sprawling gardens which extend from Rua do Catete to Parque do Flamengo. You can visit the little café on the grounds for a snack and enjoy the scenery along with your food.The Museum of the Republic is located at Rua do Catete, 153 - Catete - ph 55 21 3235-3693 or 55 21 3235-2650 - On Sundays and Wednesdays the entrance is free - From Tuedays to Fridays is open from 10am-5pm and Sat-Sun-Holidays from 2pm - 6pm. The museum gardens is open to visitors until 10pm. The church of Our Lady Glória is set on the Glória hill and overlooks the Parque do Flamengo. 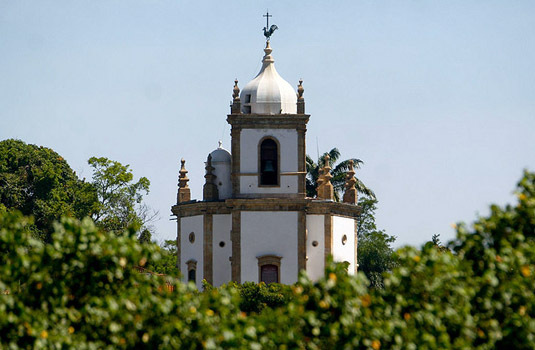 It was built between 1735 and 1791 and is polygonal in structure with a single tower. The church’s interiors feature authentic blue-faced Brazilian tiling. 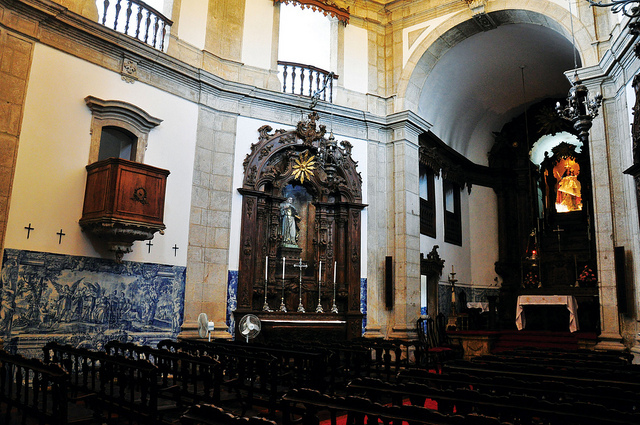 It is said that the wood carvings on the main altar was carved by Mestre Valentim. Deemed as a jewel of architecture, the church of Our Lady Glória, is one of the major religious assets of the Brazilian colonial arquitecture. A pioneering work considered at the time (1739). Because of the place where it was built was a strategic point taken from the French by the founder of the city, Estácio de Sá, the church has an important significance to the cariocas.The church is located at Praça Nossa Senhora da Glória, 135 - Gloria - Phone. +55 21 2225-2869 / 2265-9236 -Visiting hours: Mon-Fri 9am-12pm and 1pm-4pm - Sat-Sun, 9am-12pm - Museum: Mon-Fri 9am-12pm and 1pm-4pm - Sat-Sun, 9am-12pm - Masses: Sat, 9-11am. 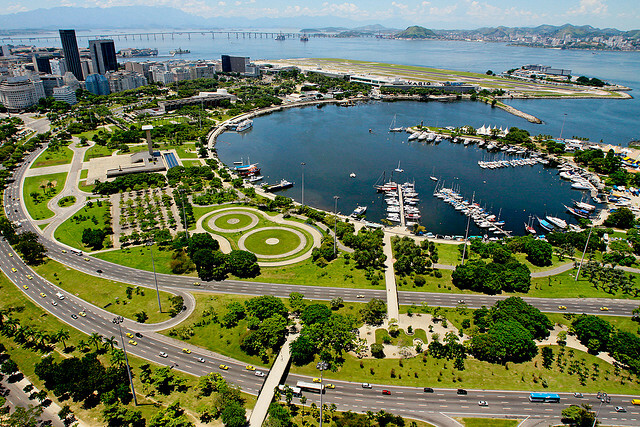 The Marina da Glória is located next to the Santos Dumont domestic airport. Boats of all shapes and sizes can be docked here. There are many repair facilities. Shops selling marine equipment, boat sales and sailing schools located around the marina. The marina plays host to the biggest boat show in Latin America and attracts visitors from all across the globe. The Monument Aos Mortos da Segunda Guerra Mundial is the national memorial for the soldiers of Brazil who died in World War II. 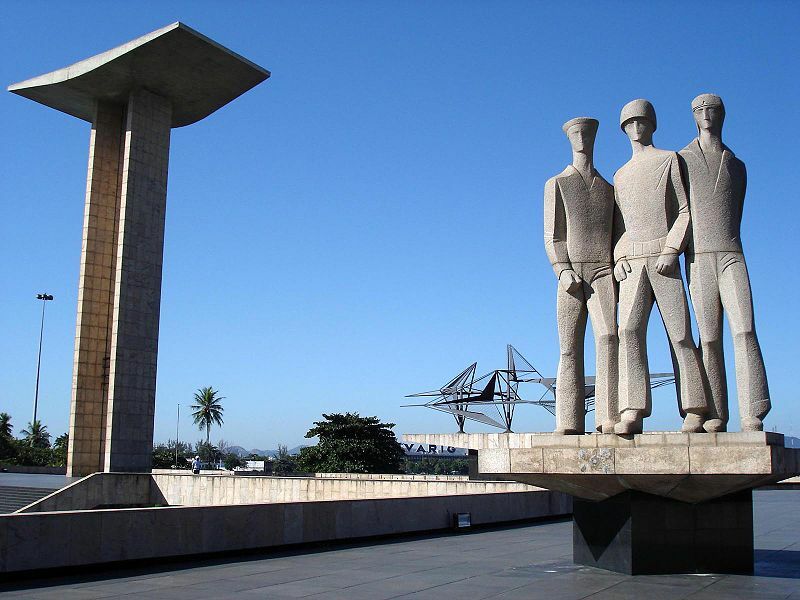 The monument consists of two slender columns supporting a slightly curved slab. The crypt contains the remains of the soldiers killed in Italy. Catete Grill is a popular restaurant at Rua do Catete, 239, and a churrascaria famous for delicious cuts of meat. The buffet also offers a range of vegetarian delights like a range of salads, pasta dishes, sushi, risottos and much more. The service is buffet style so be sure to go on an empty stomach so that you can enjoy all the delicacies.Estação República at Rua do Catete 104, offers a yummy buffet of meats, salads and sushi. After a day of sightseeing and shopping, a good meal is the perfect way to end your adventure.Graça da Vila at Rua do Catete 133, is another buffet style restaurant that is highly recommended. The décor is sleek and modern and the service exemplary. The restaurant specializes in pizzas, crepes, chicken and French fries. A range of toppings makes your pizza eating experience even more delightful.In Glória the Casa da Suiça at Rua Cândido Mendes, 157 offers beyond an exquisite fondue and swiss culinary specialties, international cuisine options, with strong influence in Italy, Germany, France and Austria.